Soon we’ll be ushering in the new year. The decisions we make for the upcoming year will be based on the results of 2017 and the many things we learned this past year. Since we base many decisions on information found in our financial statements, we need to ensure the data is clean and accurate and that we have the cash to implement our plan for next year. Here are five questions to ask to ensure you have good, clean data and that your financial house is in order. 1. Is your profit and loss statement (P/L) accurate? Your P/L is a storyboard depicting revenue, expenses and profit. It measures the quality of these items against past or budgeted results and often against industry benchmarks. A clean P/L is maintained by choosing an accounting convention such as accrual basis while respecting time periods or cutoffs. For example, the revenue you produced for a month should be offset by the expenses incurred to produce that revenue and should be coded to that same month. Does your accounting respect period cutoffs? Does your gross margin (revenue minus direct costs) look accurate? If it’s too low or too high, it can be a sign of a great year or a terrible year. Or, it can be a sign that your revenue or expense coding is bad. Your P/L will give you clues to how you performed and where you succeeded and failed—only if your transactional coding is proper. So, spend some time drilling down on specific P/L line items to ensure they’re accurate. 2. 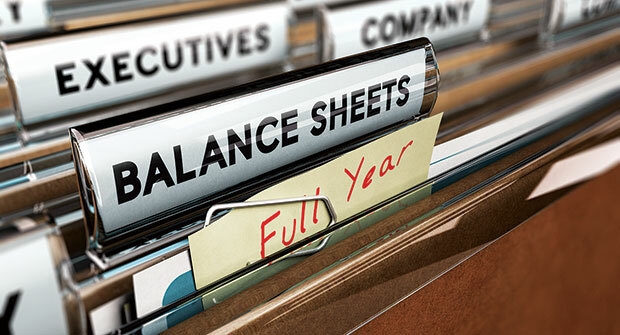 Does your balance sheet (B/S) make sense? The B/S shows the financial position of a firm on a given date (i.e., assets, liabilities and net worth). An easy way to distinguish the P/L from the B/S is to think of the P/L as a statement showing how our business did in terms of revenue, profit and growth for a given period. The B/S shows us what our firm has because of cumulative P/Ls, owner distributions and financing activities in the past. Most business owners are more focused on the P/L than the B/S. If you have a problem interpreting the data from your B/S or want to make sure it’s accurate, talk with your accountant. 3. Are your accounts receivable (AR) clean? AR management is an important area of financial management. A business that doesn’t have control of its accounts receivable will almost always have poor cash flow and have trouble meeting its expenses on time. AR management starts with laying out a formal procedure for collections. This procedure starts with an AR aging report. At each point along the way, you should make a collection effort (i.e., at 30 days, a phone call to the customer; at 60 days, a letter; at 90 days, perhaps a stronger effort). In any event, the company shouldn’t allow a large percentage of its receivables to go over the 60-day column. The older a receivable is, the more difficult it is to collect. Have an effective collection process and be firm when deciding to put a customer on credit hold. Looking at your budget often and adjusting it to achieve your goals. Closing out the year can be a huge task from an accounting perspective. By focusing on the above five items, business owners will have a clearer path to success in 2018.